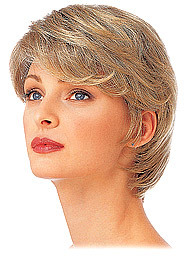 Slightly layered to frame the face, this chin-length bobbed style never ceases to be in popular demand. 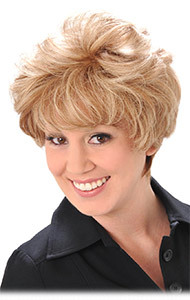 Lori by Wig Pro is made of 100% Remy human hair, offering a monofilament top in a petite size. 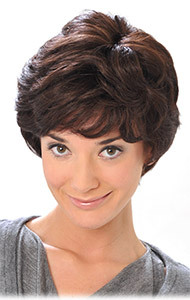 Soft curls accent a short and elegant style. • Weight: 2.75 - 3 oz. • Back: 2.5 - 3 in. The hairstyle of the year! A confident, easy care look for a busy career woman.